Are We the Waiting tells the story of a group of friends who flee to a family members house in Canada to avoid being drafted for World War three. While there, the friends are locked in the house and terrorized by a ruthless killer named NEO. The group may have dodged World War 3 but they may not survive the night. There's a lot of conversation between the characters that takes place while they're sitting down, very still just talking and this approach felt a bit off to me and gave the first half an unnecessary slow feel. If the characters had been in action, working on a car or even simply walking for example, the film could have had a stronger sense of moving forward. It would have felt more lively with more movement. On the technical front, the film is hindered slightly by some severely uneven sound issues that had me pretty regularly adjusting the volume up or down. There are some cool practical effects that I give the film crew credit for attempting on such a low budget. There's a number of knife killings and one that involves an axe and a head that looked good. All the actors involved did decent work here, with Pemberton and his onscreen girlfriend Kiya (Alyssa Cordial) being the standouts and doing a good job. 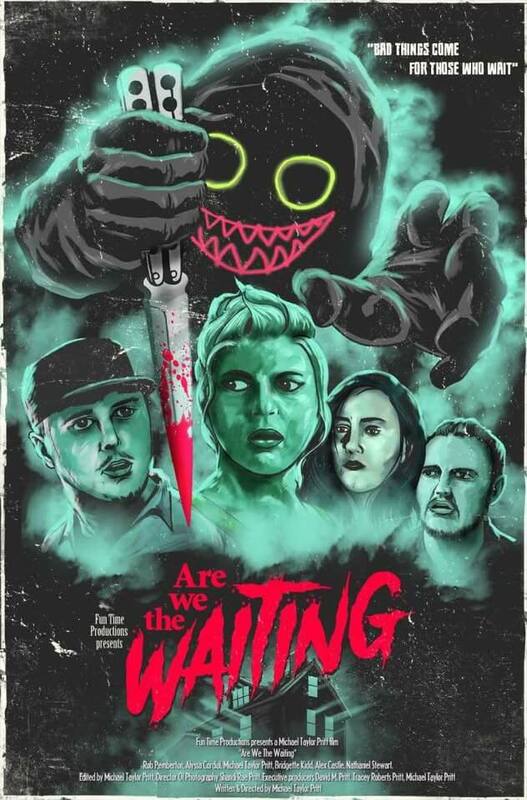 Fun Time Production shows a lot of heart and effort in Are We the Waiting and it's obvious to me that with a little more style and some technical fine tuning they'll surely produce some great films. Are We the Waiting is a decent flick with a solid sense of story but it lacks a violent punch needed to really put an exclamation point on some of the scenes. That being said, this is a young group of indie horror filmmakers who show a lot of promise and have my attention. I look forward to seeing what they do with their next feature film, Night Howl.